Apr 14, 2017 | 18:00 1 Had to take family to airport, pushed snow with the bumper, this is after it settled. Apr 14, 2017 | 18:38 2 Makar misery loves company. 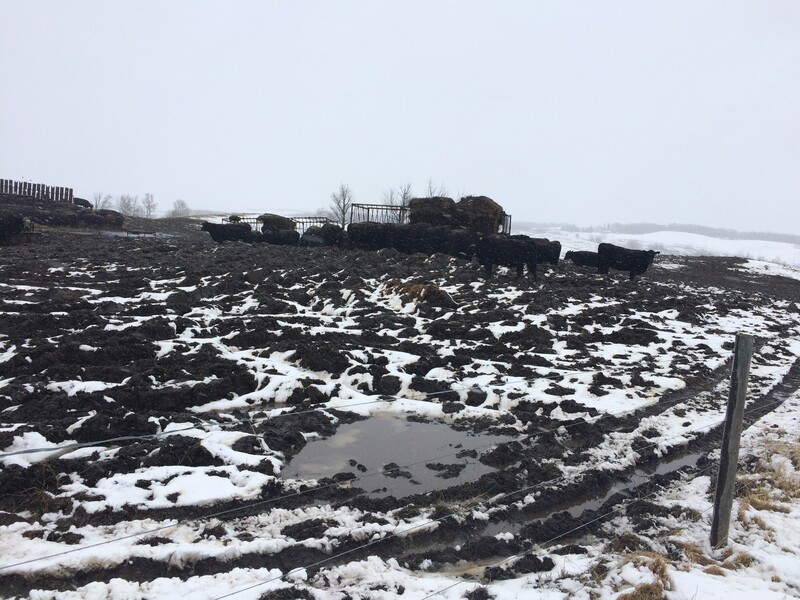 1 inch of rain last week+ 1 inch of rain yesterday+ 8 inches of snow today+ calving cows= disaster. Lost my boot in the mud after sinking the quad today probably didn't help either. Suppose to be another 36 hours of this $hit west of Edmonton. Apr 14, 2017 | 18:50 3 Isn't there a lot of crop left out there as well? Apr 14, 2017 | 18:56 4 Lots of crop out, all my canola, some bto are in the thousands. Apr 14, 2017 | 19:34 5 Absolutely NOTHING is LIVING HELL like too F*cking WET!!!! Feel so bad for all farmers suffering with this and last years WATER/SNOW! Apr 14, 2017 | 20:48 6 Same story east of Edmonton. Spring thrash is done. Will not bother now. Declared next year country all ready. No chance of seeding enough acres now soon enough for any type of profit this year. Apr 14, 2017 | 21:24 7 Yikes, east of Red Deer, we are wet but nothing compared to you Ajl. Very sorry to hear about all the snow. Neighbors here with crop out won't be turning a wheel anytime soon. Fields were soft and wet before all the rain. Apr 14, 2017 | 23:43 8 Absolutely cruel. I feel horrible for those with crop out still. 3/4 inch rain here yesterday. Fields are goo. Some truck thieves found that out this morning. Hang in there folks. Last edited by swinkler; Apr 14, 2017 at 23:49. Apr 14, 2017 | 23:56 10 Maybe there was economic theory that went with that tune, "Oh, give me a home where the buffalo roam!" Apr 15, 2017 | 03:21 12 Swinkler normally the truck thieves in our area head to one of the reserves by us. We know since we followed the neighbors truck there two weeks ago after it got swiped at lunchtime while they were home. Apr 15, 2017 | 06:51 13 Worst F#$King thing in the world is to wet. Sorry to here the harvest that never ends continue. Seen on radar that it was picking up speed. Apr 15, 2017 | 07:05 14 Sorry to hear things are taking a turn for the worse in areas that were hit so hard last fall. If I could offer any encouragement I would only say don't give up yet, things "can" turn around quickly and it's amazing how Mother Nature also has a good side. I know some haven't seen that side of her for a while but as the old saying goes, hope springs eternal. Apr 15, 2017 | 08:44 15 Have a foot of wet stuff here on top of an inch of rain. Heard once you got east of here 20 miles there was little to no snow. What a bloody mess calving now. Neighbours have half the crop out and wheat was standing. Thinking a pro till will be the only way. Have a foot of wet stuff here on top of an inch of rain. Heard once you got east of here 20 miles there was little to no snow. What a bloody mess calving now. Neighbours have half the crop out and wheat was standing. Thinking a pro till will be the only way. quite a few nieghbors rushed out and bought pro tills , sunflower discs , etc. at $100k plus and worked land in dec. we just took our allis disc out and worked 3 quarters . our ruts are levelled , theirs are not . are they just a fad ? Apr 15, 2017 | 10:04 17 Don't give up hope yet. In 2010 we had mountains of snow and I mean winged up drills nearly full of snow.This was the third week of April. A couple warm weeks and we were started seeding by the 10th of May. Alittle late but workable. We were able to finish combining on Tuesday, but our plan had been to start seeding and combine it when we got to it if we hadn't been able to get it done in time. Make sure and clean extra barley and oat seed and line up some short season canola. Swinkler normally the truck thieves in our area head to one of the reserves by us. We know since we followed the neighbors truck there two weeks ago after it got swiped at lunchtime while they were home. Most of the theft here is out of Calgary. Drug addicts and/or desperate people. Getting worse as the economy struggles. Apr 16, 2017 | 07:46 19 Thankful that our area in eastern Sask missed rain and snow so far in April. Still have full sloughs and high water table from past few super wet years. Saturated soils around slough margins has meant little crop production, even where we do get them seeded. Worst case is where we have given up on some fields. Other side of coin is higher ground and lighter land has produced amazingly well. Sympathy for those struggling with snow, especially cattle producers. Apr 17, 2017 | 08:35 20 we sure lucked out here in the NE , only 2 tenths and a skiff of snow that was gone in a couple hours . drying up real good . places where water laid from July until we were discing in December are dry now . we sure lucked out here in the NE , only 2 tenths and a skiff of snow that was gone in a couple hours . drying up real good . places where water laid from July until we were discing in December are dry now . Similar rain/snow N of Wadena, but water in every dip yet, don't see drying at all. Looks same as at freeze up. And JUST TOO COLD! Please change CLIMATE! Apr 17, 2017 | 09:54 22 Lots of canola fields back under a foot of heavy wet snow again north of here. Some places had 1 inch plus rain then 6-12 " wet snow. Time line for getting crop off , seeding started is getting worrisome for guys. Fields now saturated and frozen again. Things can turn around , just look at last November. Apr 17, 2017 | 12:25 23 Furrow things never did turn around here in November. The nicest combining we had was just before Christmas besides spinning out on the hills and ending up with ice wheat(1/3 ice and 2/3 wheat). It just got mixed in the silage wagon so we didn't care how it came off. 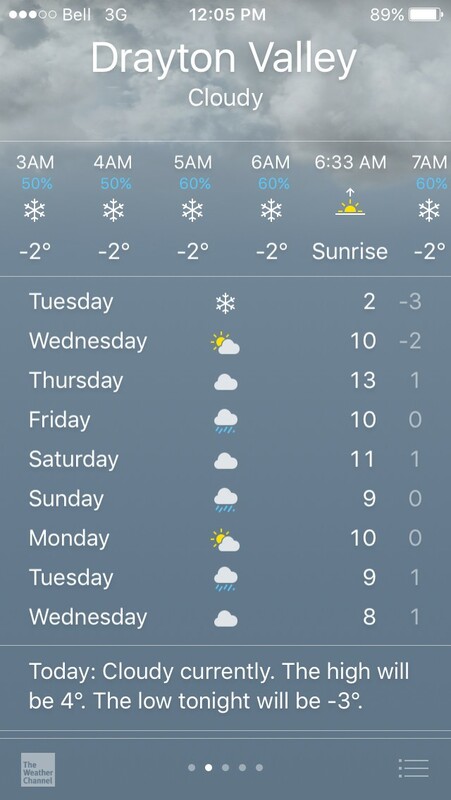 Still have snow on the ground from last weeks mess and the forecast is crap. Not sure how we are going to get rid of the unswathed crop?? One neighbor was thinking of seeding right over it with a disc drill but I think the ground won't dry without disturbing it. Heavy breaking disc maybe?? Furrow things never did turn around here in November. The nicest combining we had was just before Christmas besides spinning out on the hills and ending up with ice wheat(1/3 ice and 2/3 wheat). It just got mixed in the silage wagon so we didn't care how it came off. Still have snow on the ground from last weeks mess and the forecast is crap. Not sure how we are going to get rid of the unswathed crop?? One neighbor was thinking of seeding right over it with a disc drill but I think the ground won't dry without disturbing it. Heavy breaking disc maybe?? I always wondered if it was in swaths if you couldn't run it through a forage harvester and spread it out. Neighbour once had 400 acres of wheat swaths sit for 2 years. Ended up disking it in. We did that quite a few years back with a self propelled forage harvester with 80 ac swathed barley. Took about 3 hrs. Not one barley grew Harrowed it and seeded it. Wprked excellent ! Last August we had 130 acres of the heaviest hay we cut and raked and was almost ready to bale get hit with 6 inches of rain. We then chopped and blew it back on the field to get rid of it since it was rotting in the swath and the second cut was two feet high. Chopper kept plugging since it was so slimy and kept spinning out on the hills without the wagon even.